The smallest changes have the biggest impact. 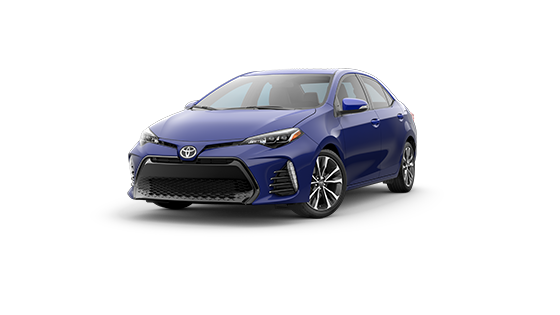 Check out the 2019 Toyota Corolla! If you’ve got a good thing going, why change it entirely? 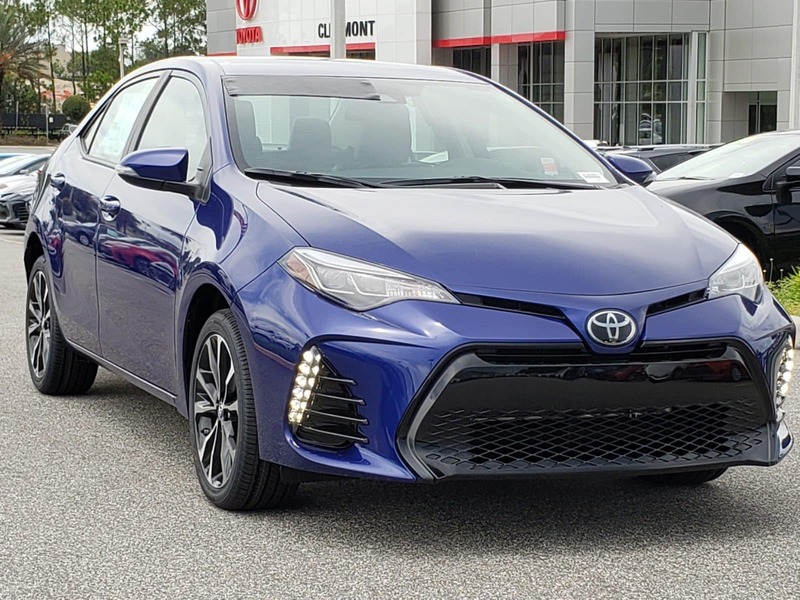 For the 2019 Toyota Corolla, the changes are subtle, but they make for a whole new take on the compact sedan we’ve all come to love. 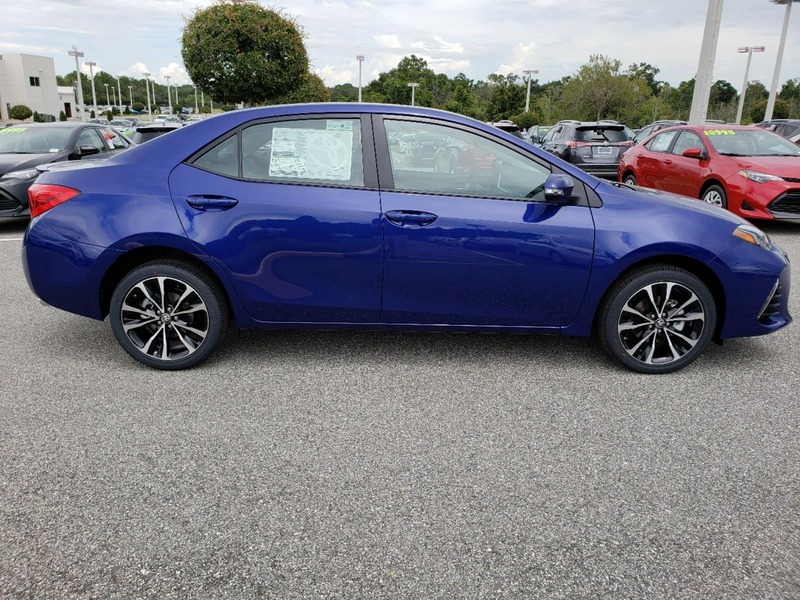 Upgraded safety technology, new exterior accents, and greater fuel-efficiency make this new North Charlotte Toyota sedan sporty and stylish without breaking the bank. 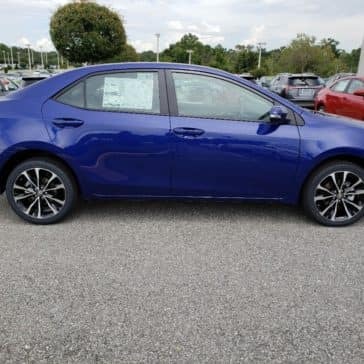 If you’re looking for a cool fuel-conscious compact sedan, look no further than the 2019 Toyota Corolla at Toyota of North Charlotte! 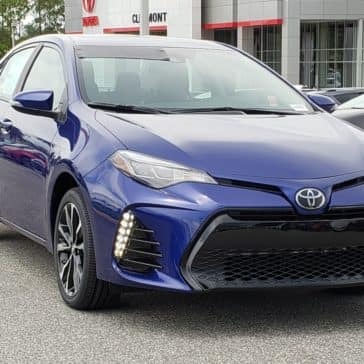 Updated safety features, including Toyota Safety Sense P.
An aggressive new front end with incorporated LED daytime running lights. 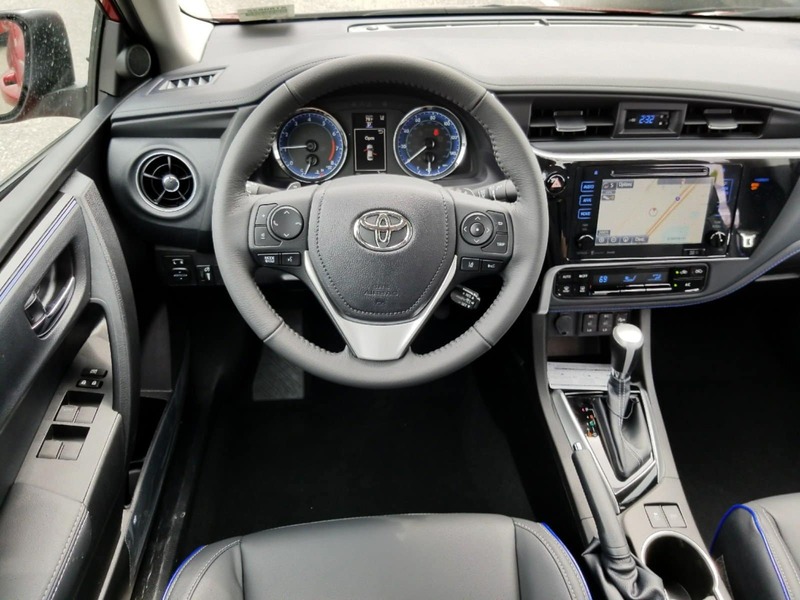 Toyota Entune Audio Plus infotainment adds new convenience technology and amazing sound for all your tunes. Power-assisted rear disk brakes with optional rear drum brakes. 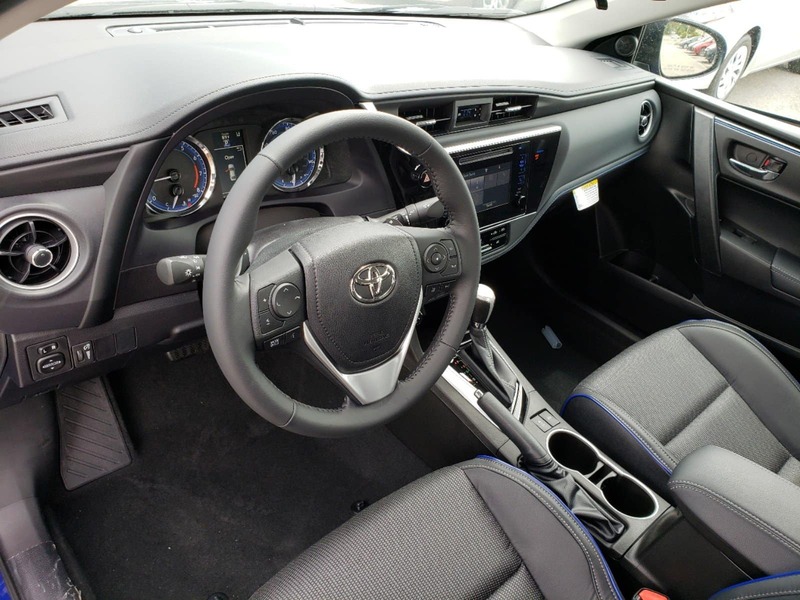 Available paddle shifters for convenience and sports car like driving. 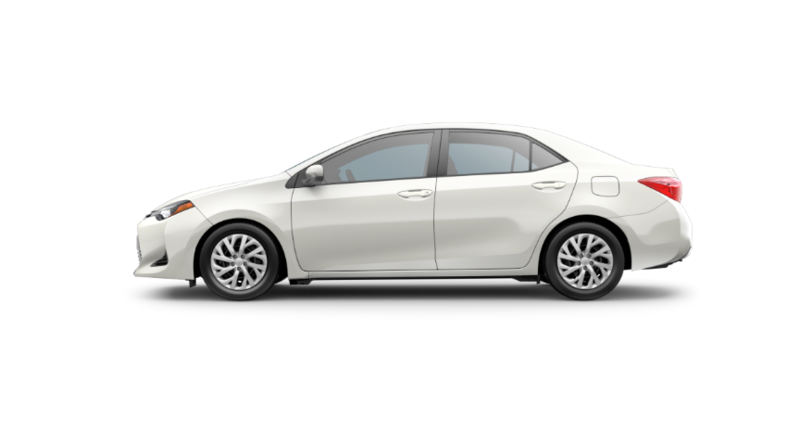 Independent Macpherson Strut suspension with a rear stabilizer bar for tight corners and balance. Manual and automatic six-speed Continuously Variable Transmission (CVT) with optional intelligence shift. The N Charlotte Toyota Corolla gets an EPA estimated 28 city and 36 highway. Optional rear spoiler and a new front grille design available on SE and XSE models. Optional Sport instrumentation cluster with chrome plated speedometer and tachometer. 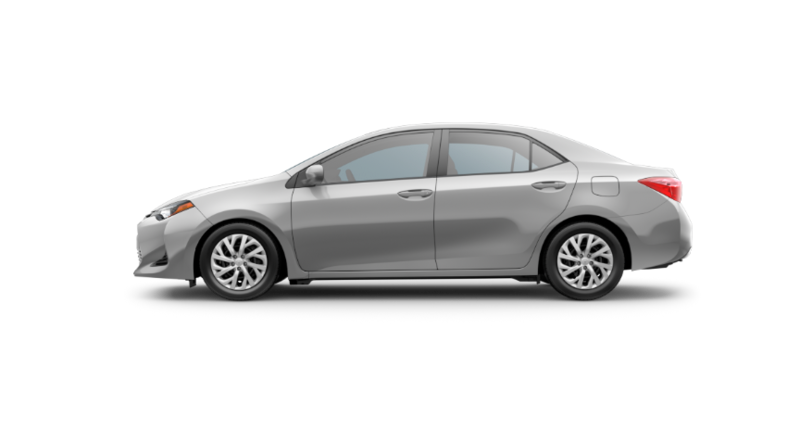 15, 16, and 17-inch optional machined alloy wheels. 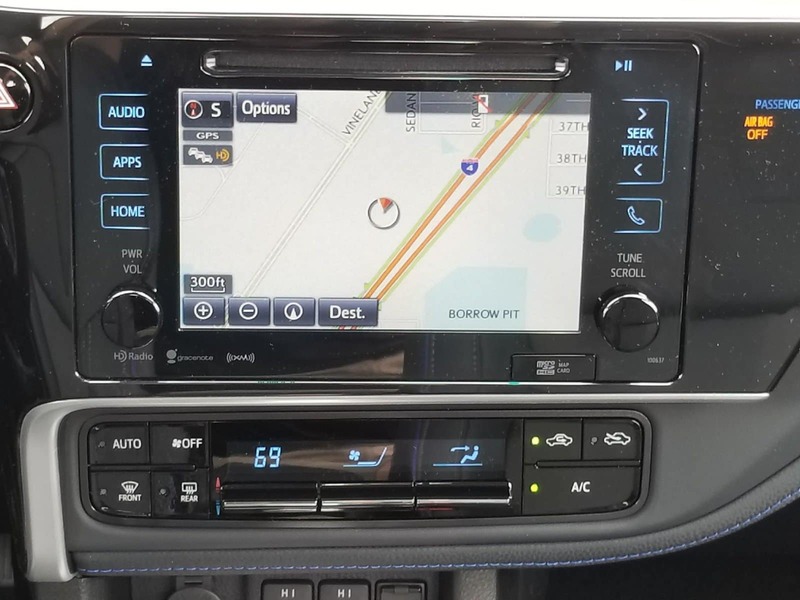 All new Entune Audio Plus infotainment system full of convenience apps. An available 7-inch touch-screen display. 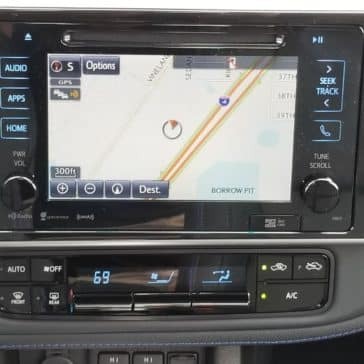 Hands-free phone capability, Bluetooth connectivity, Scot GPS Link, Siri Eyes-Free, and HD/Satellite Radio. 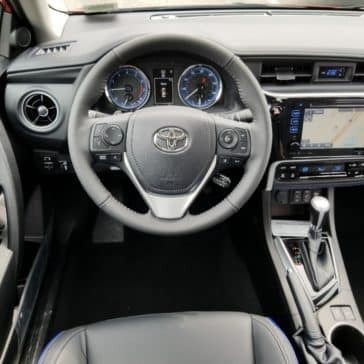 Toyota Safety Sense P which includes safety measures like Pre-Collision System with Pedestrian Detection, Lane Departure with Steering Assist, Automatic High Beams, and Dynamic Radar Cruise Control. 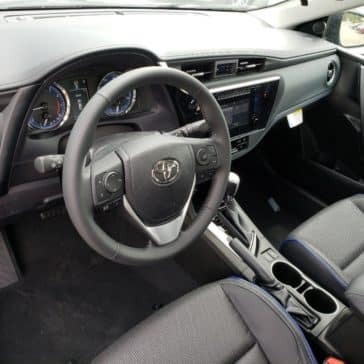 Star Safety System with Enhanced Vehicle Stability Control, Anti-lock Brake System, Electronic Brake-force Distribution, Brake Assist, and Smart Stop Technology. 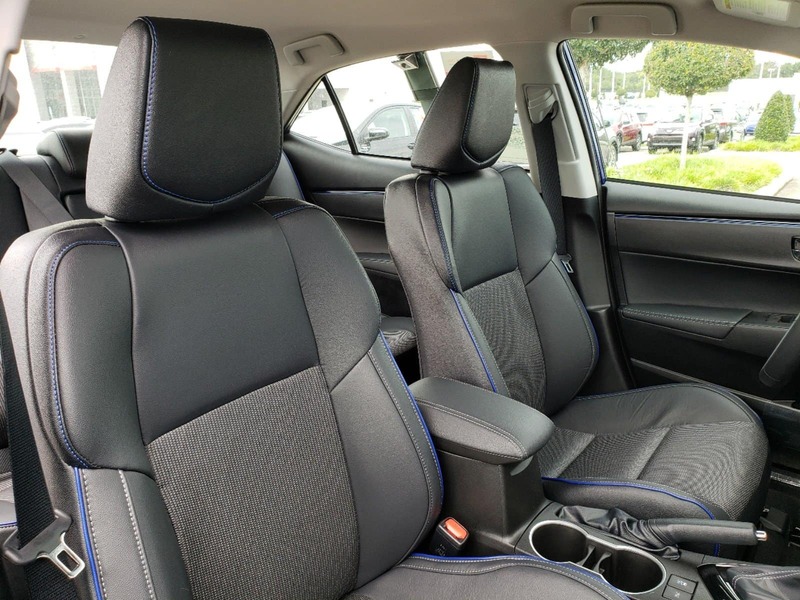 LATCH technology for more secure car seats. 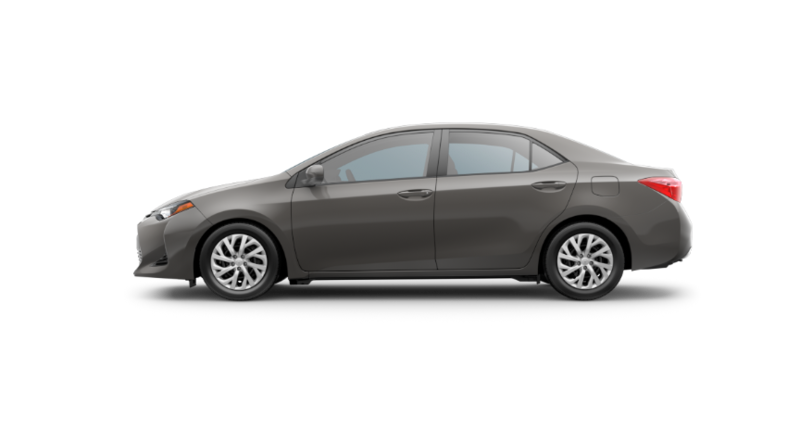 Now that you’ve read about the new Toyota Corolla, it’s time to come take a test drive! 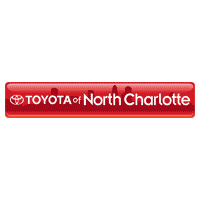 Visit Toyota of North Charlotte and check out the awesome new features of this stylish compact sedan. We’re located at 13429 Statesville Road, exit 23 off I-77 in Huntersville. 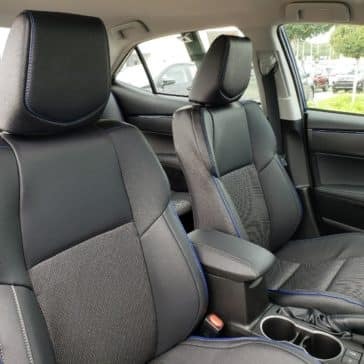 Call us at (704) 875 – 9199 with any questions, to schedule a test drive, or ask about our service specials!